In my younger and more mischievous days I have been known to toss buckets of water and water balloons from second story windows and balconies on unsuspecting pedestrians whose only fault was to have been in the wrong place at the wrong time. There are people doing that to you and me every day, they are our mischievous and downright terrible ancestors. Among other things, you and I are the accumulated gene pool, subconscious memories, habits, and proclivities of all our ancestors. And some of them dumped buckets of physical, emotional, and spiritual “acid” and “corrosive” on us when we were born. Methodist pastor Clovis Gillham Chappell (1882-1972) of a previous century said in his sermon, “The Baby”: “Some children are ‘half damned in their birth.’” And sadly that is true. When the people looked down into the face of baby John the Baptist and asked, “What manner of child shall this be?” (Luke 1:66) his ancestry had a part in answering that question. John the Baptist came from a long line of priests. He could trace his ancestry all the way back to the Jew’s exodus out of Egypt! For the most part, this was an advantage for John. However, most of us are not so fortunate. So what are we to do? We can’t pick our relatives. The answer is put up an umbrella over the little children in your life; be a covering that shelters them from the acid and corrosion. A part of being an adult is that we can make more powerful and more intentional choices. Children habitually pick up what they see others doing; we do not have too. The dye may have already been cast but we can choose what we make out of the cloth. The umbrellas you put up over your children, nephews/nieces, and other children that God has brought into your life (and adults also for that matter) are righteous habits and convictions that may have not come naturally to you but you do them because you are determined to not repeat the sins of the your fathers. Remember, we do not live just for ourselves. We are standing on the second floor looking down on the next generation coming up. Some of us are on the third and fourth floor! But above us are ancestors that go all the way back to Noah and even Adam. We can join them in tossing down “water balloons” or we can put up umbrellas to protect the little ones following us. We have a choice—what will your choice be? The ONE THING for today: The writer of Hebrews (12:1) wrote of “weights that hinder us.” There are many things that are not necessarily sin but they are not helpful—especially for little eyes, ears and feet. What is it that you really should stop doing and what should you start doing for the sake of the children in your life? Your answer to that question will change the future of your entire family. Prayer: Lay your list of things to stop doing and start doing for the sake of the children before God; ask Him if he has any changes he’d like to make and then ask him to help you lift an umbrella over your family. You can’t change the past, but with God’s help you can shelter your family from it. 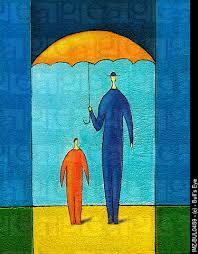 Care: You know children that will not have a family member that will lift an umbrella over them. Are you willing to make your umbrella big enough to shelter them as well? Tags: 2 Kings 15:9, Ancestors, Children, Clovis Gillham Chappell, Convictions, Ephesians 2:1-4, Exodus 34:6-8, Luke 1:66, Proverbs 18:10, Proverbs 18:21, Proverbs 18:24, Proverbs 18:4, Umbrellas. Bookmark the permalink. Previous post ← Day 3 of 3: The Quietest Days of My Life. This was Very encouraging for me this morning, Pastor. Thank you.